RMM introduced the tool on their site as a means to demonstrate the financial benefits that seniors can find through the equity in their own home. 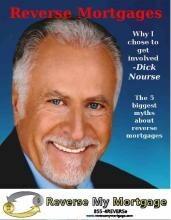 Now those seeking a reverse mortgage can see beforehand how much it will help them financially. Colorado reverse mortgages have gained immense popularity in recent years due to their high satisfaction rate and instant financial turnaround. Senior citizens in particular will be able to use the new calculator feature on the Reverse My Mortgage website to see how much it can potentially help their finances improve at the drop of a hat. They will be able to see for themselves how using the equity in their own homes will be able to potentially acquire for them more money, a simple yet highly effective financial maneuver endorsed by thousands of people across the United States and even the globe as a whole. To utilize the RMM calculator, one must input their age, since applicants need to be over the age of 62, the current interest rate charged, a client’s zip code, the type of property in question, the type of payout desired, the current mortgage balance is, and the style of reverse mortgage desired. Since so much information is asked of potential clients, the estimation of the amount of money yielded by the reverse mortgage or Utah HECM loans is extremely accurate. There is not a more precise way available in the financial marketplace today than to use a calculator like the one seen one Reverse My Mortgage’s website. Senior citizens no doubt will greatly enjoy this feature as well as benefit from it grandly. It’s especially good for visual learners or those who enjoy visualizations of the repercussions from any given financial strategy. For individuals considering reverse mortgages in Colorado or in any other state, the ones financed by Reverse My Mortgage have proven to be extremely satisfactory and trustworthy. As proof of their validity, Reverse My Mortgage has developed a calculator that will enable clients to immediately identify how much money they can acquire through a reverse mortgage or Utah HECM loans. This is a prudent strategy for those who prefer to be in the loop on all major financial decisions and will empower them more than ever to make a decision that’s beneficial for not only themselves but also for their families. For more information, visit their website at http://www.mortgagereversecalculator.com/.